Emotive Storytelling™ strategy and science are now available to your organization in the form of highly facilitated on-site interactive workshops. 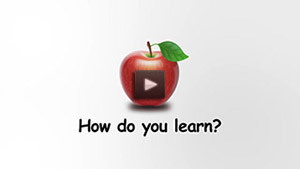 This engaging accelerated learning format instructs on strategies, design and creation of powerful emotive stories that will encourage behavior change with your customers and employees, and drive connection to your brand. Experience and insight combine to help your organization gain knowledge and take action using the latest in media psychology to promote user engagement and emotional connection. We specialize in strategic initiatives that focus on service and technology innovation, product marketing, and change transformation. What makes them engaging and transforming? If you need to engage, focus and enlighten people, we can help. Emotive Storytelling™ is the antidote to ineffective over-reliance on cognitive or rational approaches to creating behavior change. This remarkably effective approach harnesses the emotional power of the social science and neuroscience behind persuasive narrative. Emotive Storytelling™ stimulates engagement and participation by incorporating digital cinematic techniques, transmedia storytelling, accelerated learning science, instructional design, positive psychology, mobile health tools, virtual assistants, health IT, predictive analytics and the virtual power of the internet. Digital stories, tools, media content and Interactive Engagement Assessments™ (IEA™) are based upon the Emotive Storytelling Model™ (ESM™) of behavior change. Using narrative as a basis for emotive persuasion, ESM drives engagement, compliance and behavior change in healthcare, marketing, learning, and business. Emotive storytelling and narrative methods, which appeal to emotion rather than reason, are effective strategies for changing behavior when expertly designed and developed. Behind the scenes of every story are passionate hearts and enlightened minds. The Emotive Storytelling Team creates digital media stories and story-based interventions from concept-to-design that include strategic communications, mission and topic research, story architecture, content development, and complete end-to-end production. The ES Team has 30 years of experience in creating and delivering web, video, interactive and mobile stories, presentations and programs for global companies, federal government and department of defense clients. Digital media services and tools include: emotive storytelling science, strategic visioning, creative ideation, content design and development, script writing, casting, directing, studio and field production, 2D/3D animation, motion graphics, narration, scoring, sound effects, editing, user interface design, navigation architecture, programming, SEO, social media tools, and Interactive Engagement Assessments™. How are they shared and tracked? Emotive stories are powerful, viral and virtuous. Digital media services and tools are delivered and tracked in various forms: cloud-based, web, network, desktop and mobile device. Stories are delivered on the iSTORY Knowledge Multi-Platform™ architecture which is designed for web and mobile applications and served on public or private networks. iSTORY is a scalable, modular, and interactive cross-platform digital media environment optimized for user access and engagement. This versatile technology is ideal for desktop, device and cloud-based delivery of story-based interventions, accelerated learning content and actionable knowledge programs. iSTORY tracking, dashboard monitoring and backend analytics enable user visibility and engagement assessment. 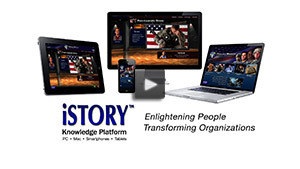 iSTORY has been used successfully for more than 13 years as a means of delivering meaningful content for enhanced work, life and learning performance in Government, Military and Consumer markets, and Healthcare, Marketing and Technology applications. This flexible multi-platform technology elevates “sticky” content for optimal user engagement, leverages “mobility first” strategies for anytime, anywhere learning, and integrates social media tools for user communities. Available for PC, MAC, iOS and Android. Emotive Storytelling™ encourages behavior change through the use of narrative communication, neuroscience, digital media and mobility. Narrative Communication as a source of emotive persuasion and education has a long history and a sound scientific underpinning. Emotive Storytelling™ integrates the emotional power of the storytelling, cinematic technique, neuroscience, health games, mhealth (mobile health), digital tools and internet technology to drive user engagement, adherence and behavior change in healthcare marketing, education and business.